Here are a couple of great little books for the youngest readers. The Eisner nominated TINY TITANS is cute without being cutesy. This issue casts Lobo as your average obnoxious gym teacher, which is a pretty funny way to introduce his character to a new generation of readers. The only complaint is that the story is so simple you can blow through an issue inside of five minutes. Kids will surely get more out of a trade compilation. I also recommend waiting for the SUPERGIRL trade if you haven't been following the series already. It's a quirky, girly take on the character (I mean just look at that cover. It doesn't get any girlier than that. Well, maybe if they made Streaky The Superhorse a unicorn... that would be girlier) with just the right dash of drama. 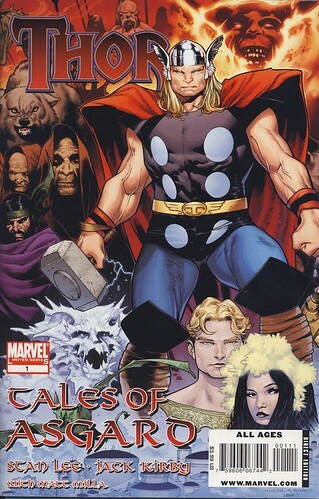 But issue #6 wraps up a story arc better enjoyed in one volume. Now here is a good stand alone issue. It's got plenty of story to make it worth a kid's time. 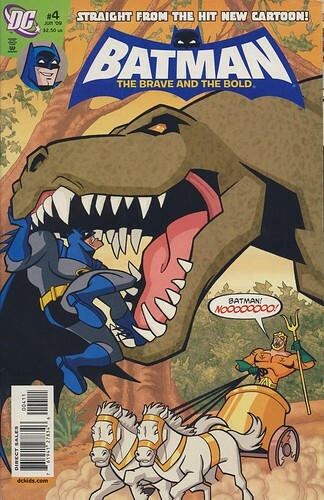 Plus it's got a wonderfully arrogant Aquaman. If DC runs with this incarnation Aquaman may actually get the respect he deserves. The entire Brave & Bold animated series has been delivering a silver age Batman with more charm than camp. The comic does the same. Oh hey, look. 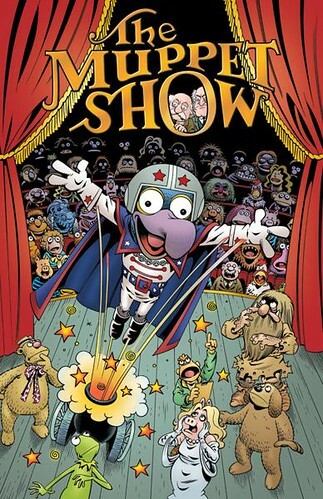 Another great issue of THE MUPPET SHOW. This one focuses on Gonzo The Great as Scooter attempts to find out just what exactly Gonzo is. I guess he never saw Muppets From Space, the movie which answered that question. Personally I like this issue's answer better. It's much more poignant. 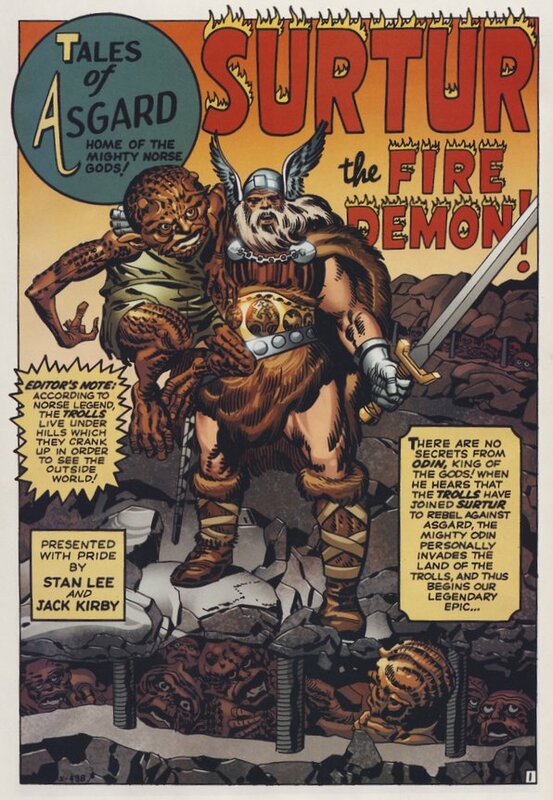 Hell's yeah - i love me some King Kirby! I love the B&B take on Aquaman. He's appeared in more episodes than any other guest-star...dare I dream of a spin-off show? If it happens, Bruce Campbell is the obvious choice to star.